The first thing you need in social media is a commitment. Commit to a specific number of followers. Commitments are always followed by time and money. Commit to many platforms, not just one. After commitment comes content. This means daily. You need different kinds of content. Collaborate with other people. Do for them what you want to be done for yourself. You have information that others don’t have. Anything you’ve done or experienced you can share with others. They are hungry for your expertise. Don’t be shy! You need to promote yourself and stop flying under the radar. You need to promote until people are complaining about your promotion. One thing I’m doing on social media right now is something nobody has ever done before—I’m literally giving a million dollars away. You can win big cash for doing a YouTube video about me. This is part of my $1,000,000 Cash Giveaway across all of my social media platforms that I’m running until the end of the year. Right now I’ve set aside $250,000 to be given away December 15. Be sure to get your video in soon to be eligible for this huge cash giveaway. All you have to do is post a video to YouTube titled “Who is Grant Cardone?” or “Is Grant Cardone the Real Deal?” or “Grant Cardone Real Deal or Scam?”. 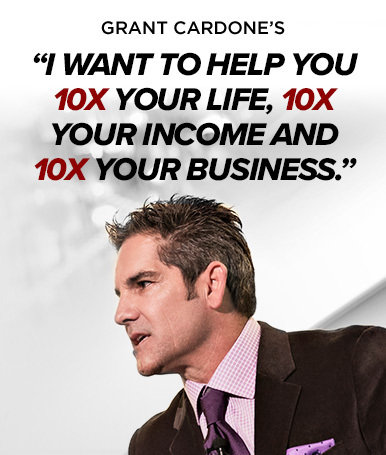 Use hashtags #10X #RealDeal and #MillionDollarGiveaway and you can win up to $25,000 cash. Be sure to make sure you are subscribed to my YouTube channel HERE. This is how I’m growing my social media. Commitment, content, collaboration, sharing, and promoting. Hell yeah! I love this! I should say I made mine with 0 video editing experience, recorded on my phone. I went on Youtube and learned how to edit video and then sat down for 20 hours and did it. That’s the ‘Whatever It Takes’ that Grant talks about. Not saying that to make any point other than this: If I can do it, anyone can do it! You can reach out out and I’ll help you. Promoting across all platforms is huge too! I’ve promoted it on Facebook, on Instagram over 25 times, I’m running round the clock live streams where I play this video and encourage people to get online and interact with it. That’s lead to hundreds of people commenting, liking, and engaging. Had literally 40+ private messages of people now getting turned on to GC from it who didn’t know him before, I’d given away all my millionaire booklets within 2 hours of posting, had one girl who has decided to follow my lead and sign up for Cardone U!!! You can help those connected to you, help Grant, and in turn (hopefully) get helped yourself. Triple win; let’s do this! Great Content Words Of Wisdom & Tips! Thanks for posting my video on your website , I’m loving this contest and I love you Uncle G, you really motivated me to make a video And get my self out there. I’m lifeted by your energy. THANKS GC! ?